No, this is not a review of the Police Academy movies. Ouch! How’s that for topical humor? I’m actually posting this message with the desire to help mankind. You see, before people (not you guys) decide to leave a yet another inane comment after a Yahoo! news article, I hope they go over to Google, type Worst vs. Worse, and find this post explaining the difference. Because I can’t believe how many of them don’t know. 1. When you are comparing two things that are not good (in your estimation), you say one is WORSE than the other. 2. When you are talking about a category of things, the one you despise most of all is the WORST. 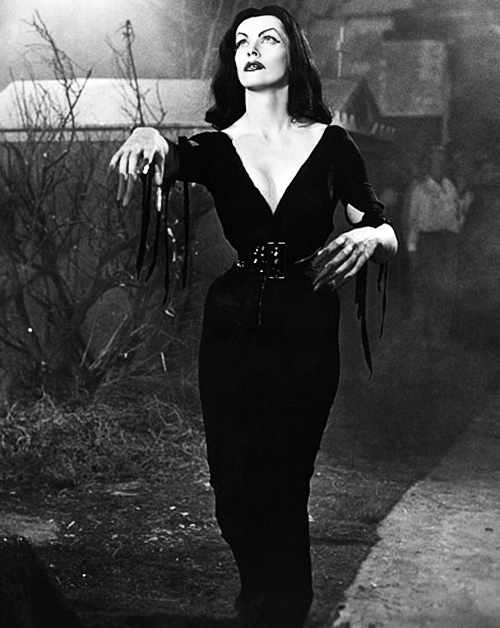 Please don’t say, “Plan 9 From Outer Space is the WORSE movie ever made.” First of all, there are much, er, worse movies than Plan 9 From Outer Space. Sure, it’s bad, but it doesn’t come close to The Creeping Terror for putrid. And not even that movie is the worst movie ever made. I don’t know what the worst movie ever made is, but it might be Showgirls. That movie ended careers. In this case, you are comparing the latest episode to the previous episode. In this instance, you are comparing one show to all the other shows, and “shows” is a category of things. You must have heard your fifth-grade teacher say, “You have to know the rules before you can break them.” That’s what’s happening here. By the way, if you’d paid closer attention to your fifth-grade teacher, you wouldn’t leave comments after Yahoo! news articles in which you say things like, “Neptune is the worse planet in our whole stinkin’ solar system!” Because it’s not. 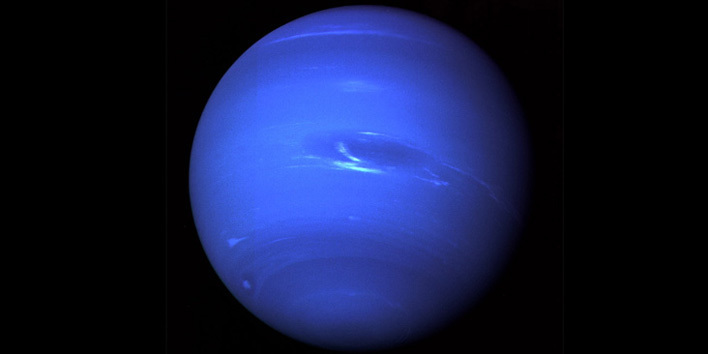 Neptune is freaking cool. This entry was posted on Wednesday, October 3rd, 2012 at 2:59 pm	and tagged with bad movies, beginning writers, editing, Neptune, Plan 9 from Outer Space, Worse vs. Worst, Writing advice, writing for beginners and posted in On writing. You can follow any responses to this entry through the RSS 2.0 feed. Hey grammar dude I have a very big problem. In elementary grammar school I was ill and missed out on basic usage and grammar terminology. I am trying to read Strunk and White but when it refers to a subordinate clause or past perfect tense or a dangling participle it assumes that I went to grammar school as a child and already know what these terms mean. My lack of terminology and concepts like what phrases, clauses, and prepositions are really makes it impossible to glean anything from Strunk and White. “See spot run” was almost what I needed but I already know not to start sentences with a “?” mark when I am scribbling with my crayon on my circle of safety paper. I have an intuitive sense of how to use decent English and grammar that I picked up from reading books over the years. However I am somewhere between elementary school and junior high grammar and usage. I would rather eat everything under the kitchen sink than go to the chalkboard and humiliate myself in the front of the class trying to fake diagramming a sentence like I did in my early school years.I had no clue how to do that. Do you have any helpful ideas of search terms that I may use to find a book that fits my remedial needs? I have tried “grammar and usage” “grammar for dummies” “phrases” “clauses” and even Wikipedia :grammar, usage, and style. I have looked at half a dozen books online but I find that I already know what ESL students don’t and that everything else I find on usage is using the same terms that I am trying to learn–the book assuming once again that I actually paid attention in school. Any ideas to help me would be much appreciated. I am so ignorant of these things that I don’t really know how to describe to you exactly what I need to learn. It is like asking someone for directions in New Jersey and having them steal the change out of my pockets. Thank you for reading my unabridged comment. Eh, if you look at a diagram of a car engine, it’s a diagram of a car engine. Grammar books are necessarily dry that way. At your level of writing, you don’t need a grammar book. Just get someone to read your stuff and point out mistakes you overlooked. Tight, crisp prose is what matters. Thanks Eric. My writer’s group critiques are full of really fine writers whose comments rip my reading apart like wolves. I appreciate the kind words. Have you finished the album you planned to market on ITunes? I would very much like to buy that. I am glad that you are digging into creative parts of you that you enjoy and have had to neglect for a good while do the other obligations. I think I would make a good groupie if you do the black bus, full of hot chicks and guitars thing. I don’t believe that trashing someone’s work is constructive. It’s better to critique someone appropriate to their skill level. Anyway, even the best writers need an editor. This is not the worstest post I have read today . . . but it’s not the bestest either. It’s worst than some and best than others. But this worse/worst/worstest linguistical challenge is not nearly as complicated as figuring out which wurst is the worst wurst and which is the best wurst to serve for Octoberfest. I know, I know . . . if I serve enough beer, it won’t matter. I don’t know which beer is the werzt, because I haven’t tried them all. Currently, I’m enjoying Stella Artois. How about you? You ave a beer preference? I enjoy lots of different beers, especially microbrews. One fave is Kalik (from the Bahamas). I haven’t had a Stella Artois in a while. That means I’m due for one! Thanks for a great write. I like beer when it is three seconds away from having a thin layer of ice form on the top.